Let our Soft n' Pretty bouquet of soft pink roses & tulips mingled with hydrangea & pompoms express your feelings for Mom this Mother's Day! 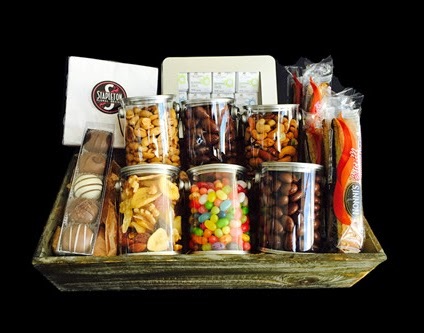 Send a delectable gourmet gift to the foodie in your life with this collection of sweet & salty snacks including Lake Champlain chocolates & truffles, mixed nuts, jelly beans, dried fruit & biscotti! Start your 'Spring Garden' with our Featured Item Of The Week! 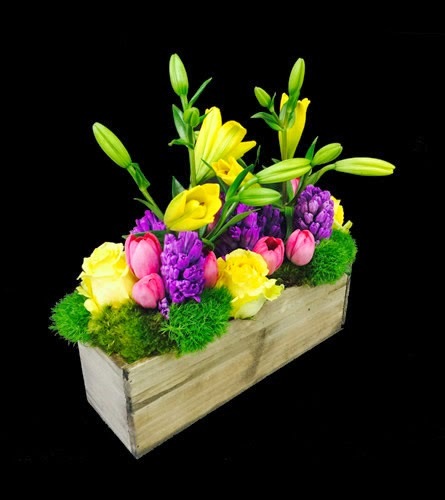 An organically chic wooden box bursting with fragrant Spring blossoms to brighten any room in your home. 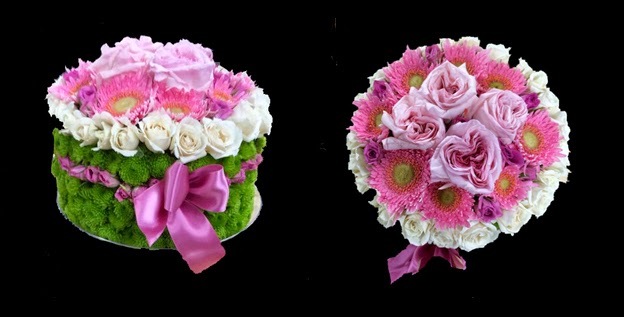 We were handpicked as one of the top 3 best rated local florists in Boston by Threebestrated.com! 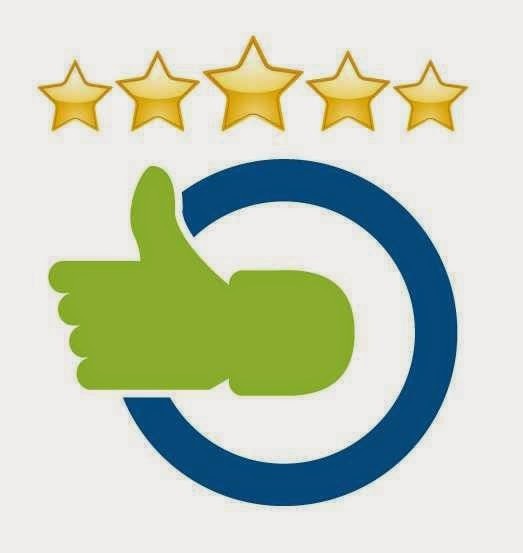 Thank you to all of our amazing customers for your support. Vibrant floral arrangements for an event at the exquisite Granite Links Golf Club in Quincy, MA! 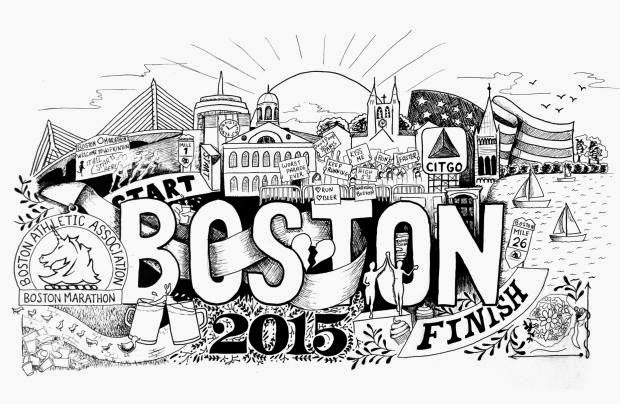 Today is one of those days where we are so very proud to be in the city of Boston! To all of the strong & brave people who ran the ‪‎Boston Marathon‬ and those that took the time to cheer them on, we applaud you. We are Boston Strong. 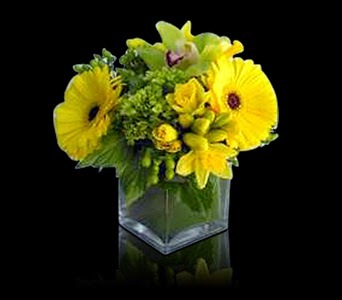 Our Featured Item Of The Week is a delightful design filled with daffodils, gerbera daisies, hydrangea & cymbidium orchid blossoms, perfect for this sunny day in Boston! 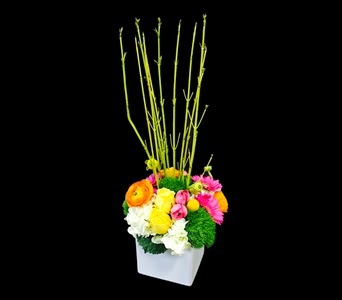 To order this floral arrangement, click here. 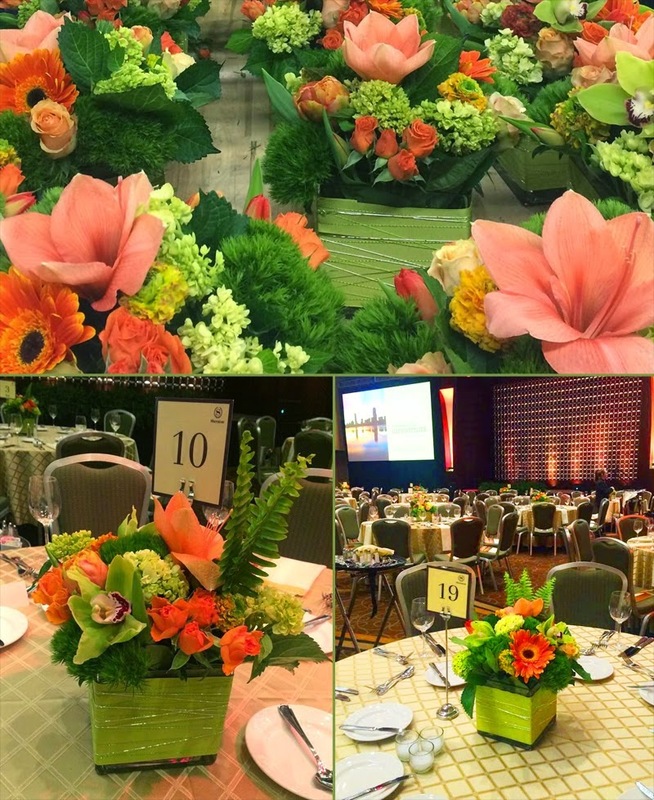 Fresh & vibrant custom floral arrangements for a corporate event at the Sheraton Boston Hotel. 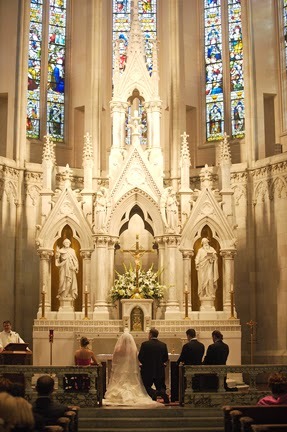 Let us help you dazzle for your next event! 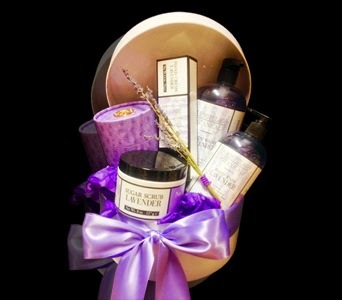 Mother's Day Is Sunday May 10th! Mother's Day will be here before you know it! Why not start shopping now? 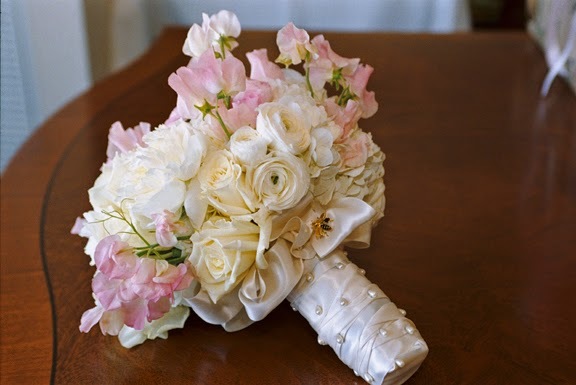 April showers bring May flowers... such as these beautiful & feminine Spring flowers from one of our Featured Weddings! Featured Items Of The Week - Spring Garden & Spring...Finally!! 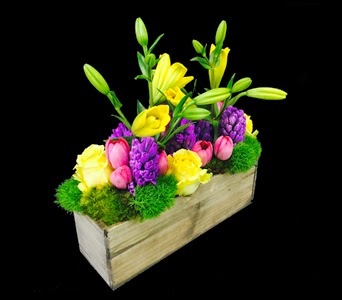 Welcome spring into your home with this organically chic wooden box, bursting with fragrant spring blossoms. 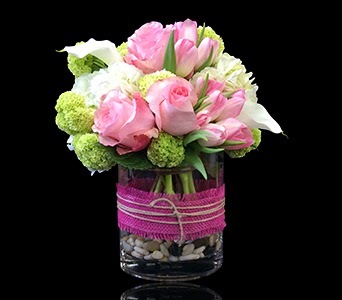 Lilies, roses, tulips and hyacinths are accented with green dianthus and moss. Enjoy this lovely design of beautiful spring blossoms in vibrant hues. 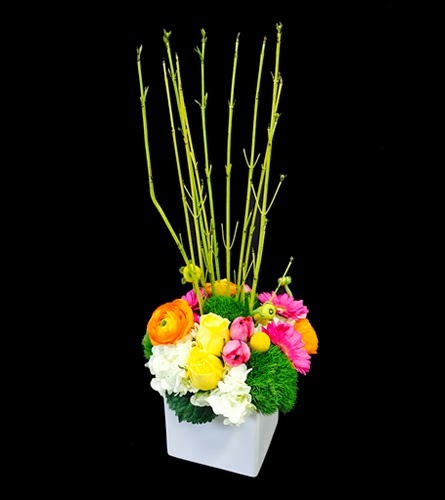 Ranuculus, tulips, roses, hydrangea, crespedia and dianthus are the stars of this design, accented by brightly coloured spring branches, designed within a white ceramic cube vase. Labels: Boston Florist, Custom Floral Arrangements, Featured Item Of The Week, Spring Floral Designs, Spring Garden, Spring...Finally! !